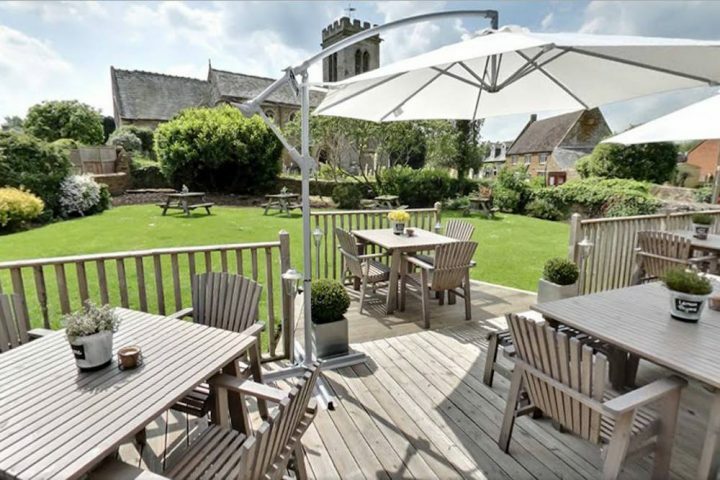 For the inside line on Northamptonshire’s stylish pubs, cool getaways and hot new events, and to save your favourite features. I first met William Sitwell when I was editing some financial titles in London (I know right, me doing finance shizzle?!). William however, had his head screwed on and was (and still is) the editor of Waitrose Food magazine and one of Britain’s foremost food writers. He’s a familiar face on TV appearing on shows such as BBC’s Masterchef, Food & Drink and as presenter on a number of documentaries, so instead of meeting on my office floor with a stack of financial reports, I can see why he invited me to his ‘office’ (the Waitrose kitchen) and made me a cocktail at 11am. Ahhhhh, my kinda man! 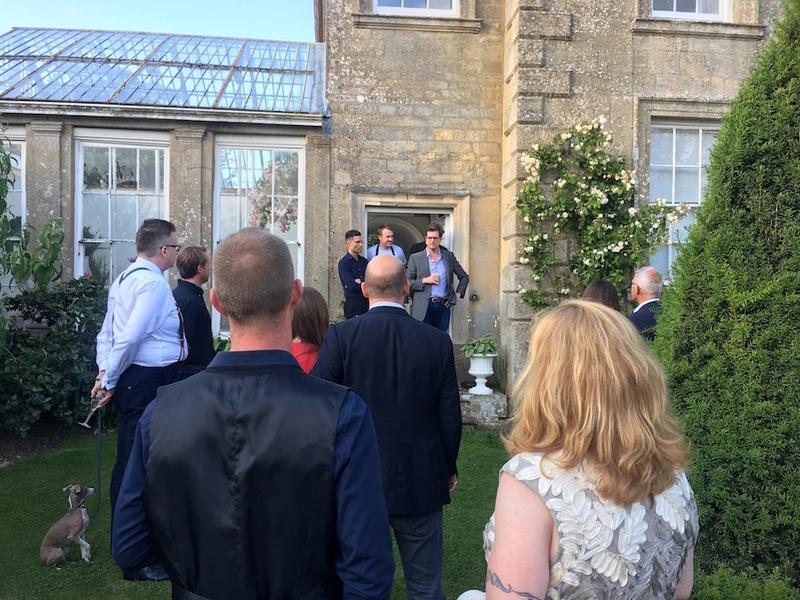 After leaving London for the heady lights of Northamptonshire, I recently bumped into William again at a Britain’s Best Surprise event (supporting tourism in Northants) and he told me all about the launch of a series of supper clubs at his family home, Weston Hall, in Northamptonshire. 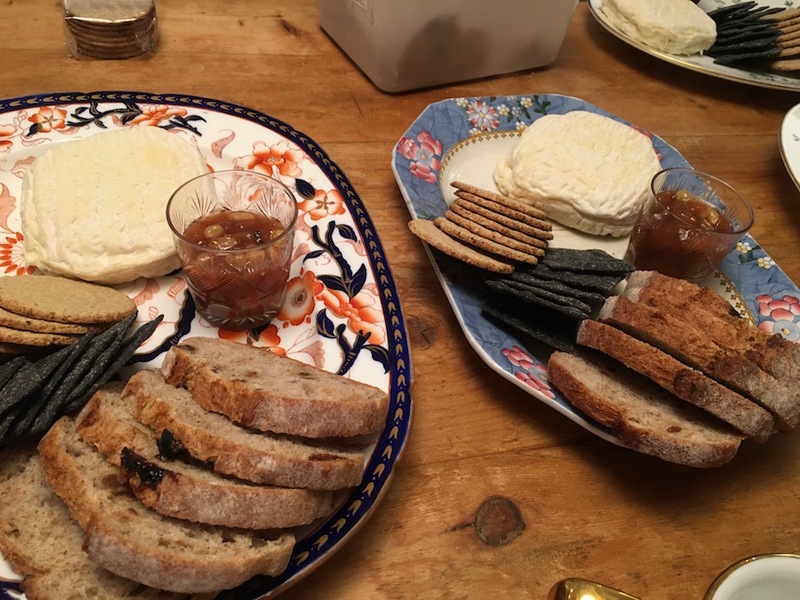 Now if you’re going to attend any supper club, I’d suggest you pick one with this kind of gastronomical pedigree, because young William is sooooooooo connected in the foodie world, you can’t possibly go wrong! 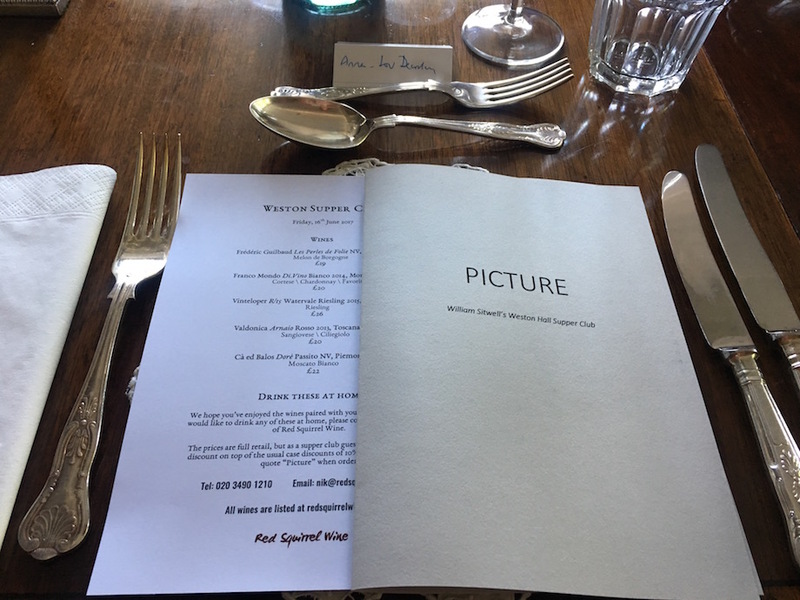 The dinner in June featured the acclaimed London Fitzrovia restaurant Picture, and what a picture the evening was (all the supper clubs feature some of the UK’s best chefs, what I like to call a win/win situation). Not only did I get to eat incredible dishes from these talented (and rather handsome) chefs, but there was also wonderful wine pairings. On top of that, I got to dine in the beautiful surroundings of the Sitwell family home. 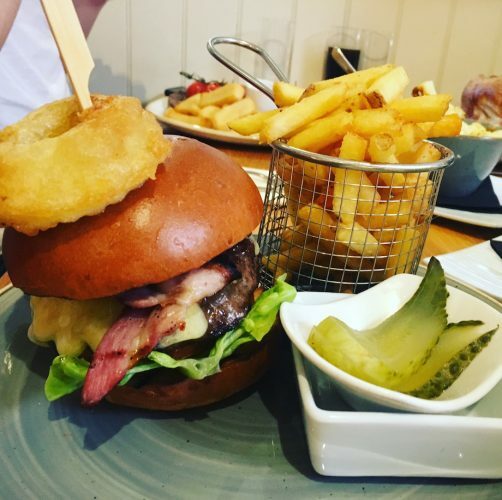 The restaurants is touted as exemplifying the best of modern British dining, and the six-course menu, with wines to match, certainly tickled the taste buds and more! Former London restaurant Arbutus head chef Alan Christie and ex-head chef of the acclaimed Mayfair establishment Wild Honey, Colin Kelly, really got to work in the kitchen, pretty much always with a smile on their faces. 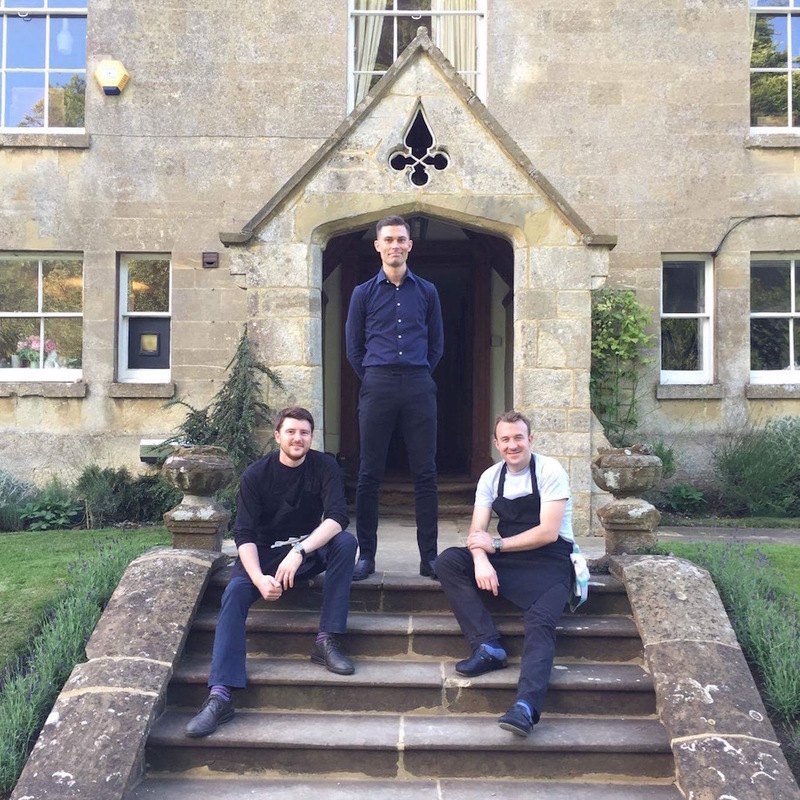 Front-of-house was overseen by Tom Slegg (right) and it really felt like a full on restaurant experience but in much more convivial surroundings. Nik Darlington (left) and his brilliant esoteric wine list at Red Squirrel kept the party going in fine spirits as did meeting lots of new people (you’re seated amongst all the other guests, and there are a mixture of large and smaller tables). 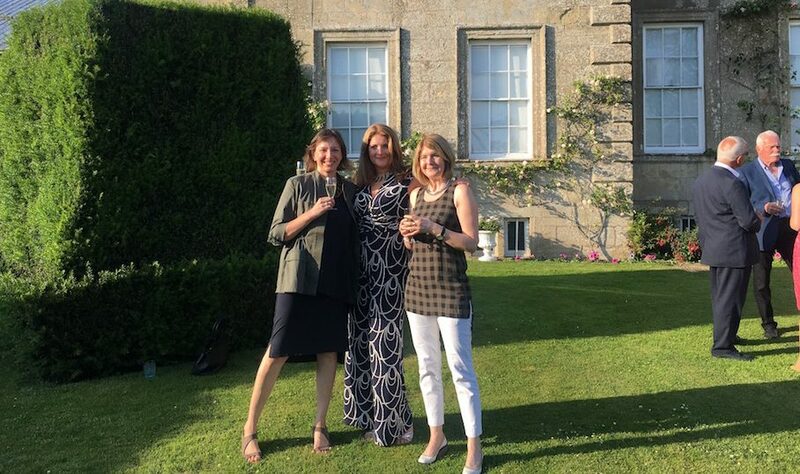 A big bonus if you do imbibe in the full wine list is there’s an option of not driving home as there are a few bedrooms available for those wishing to stay the night via AirBnB (yup, just pick a room and take a leisurely walk around the gorgeous grounds before supper)! It is a family home, and the interiors and furnishings are sympathetic to the age of the house, so don’t expect all mod cons and underfloor heating, but to be honest, it really does add to the experience. I even bumped into some Muddy readers! 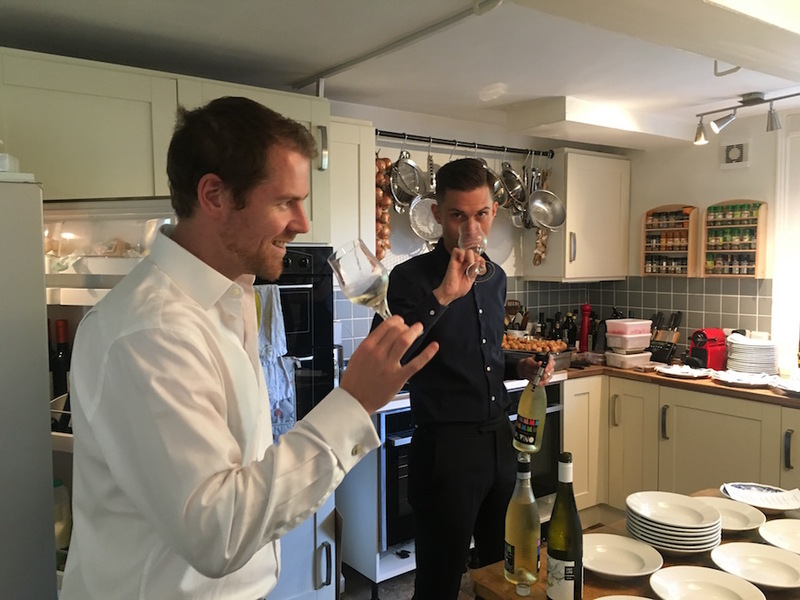 ​The suppers cost around the £85 mark, so while not altogether cheap, they’re brilliant value for the level of expertise, quality of food and full wine pairings (it includes pre-dinner drinks and the equivalent of a bottle of wine per head!). 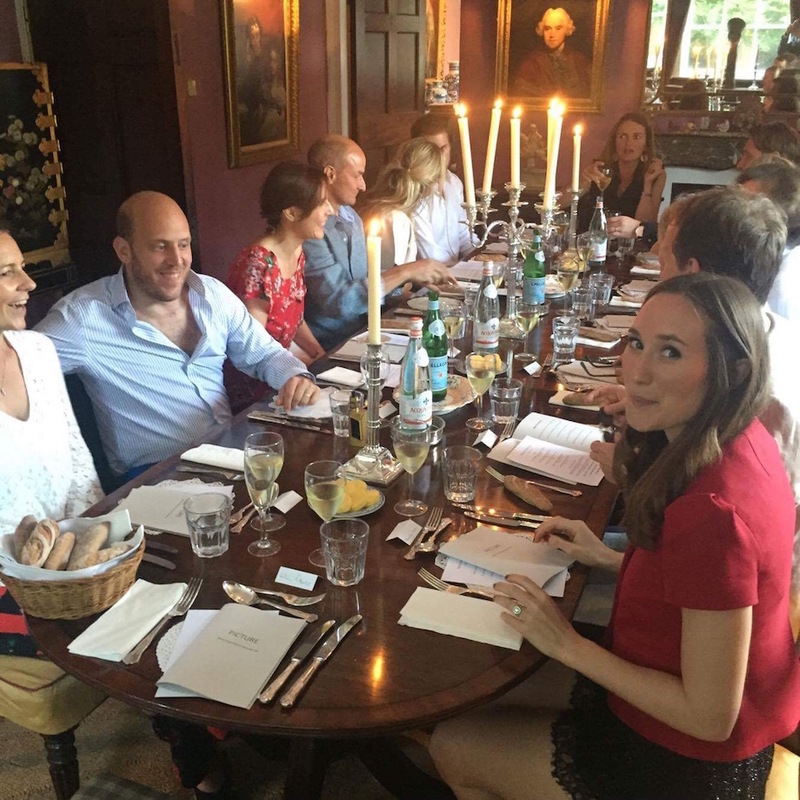 I thought it was a really different kind of evening to the supper club norm and a pretty unforgettable experience eating in the Sitwell family home, so even if you only went the once, it would be a night to remember! The next event on Sep 1 will give you a taste and flavour of the banquets once held by Maharajas at their palaces across India. The chef for the night is Abdul Yaseen, formerly head chef of London’s renowned Cinnamon Club, now heading up his own restaurant, Darbaar, in Moorgate. A dynamic and innovative chef from Jaipur, city of some of the greatest palaces of India, his menus combine the best of the East with the finest ingredients he can find in the West. 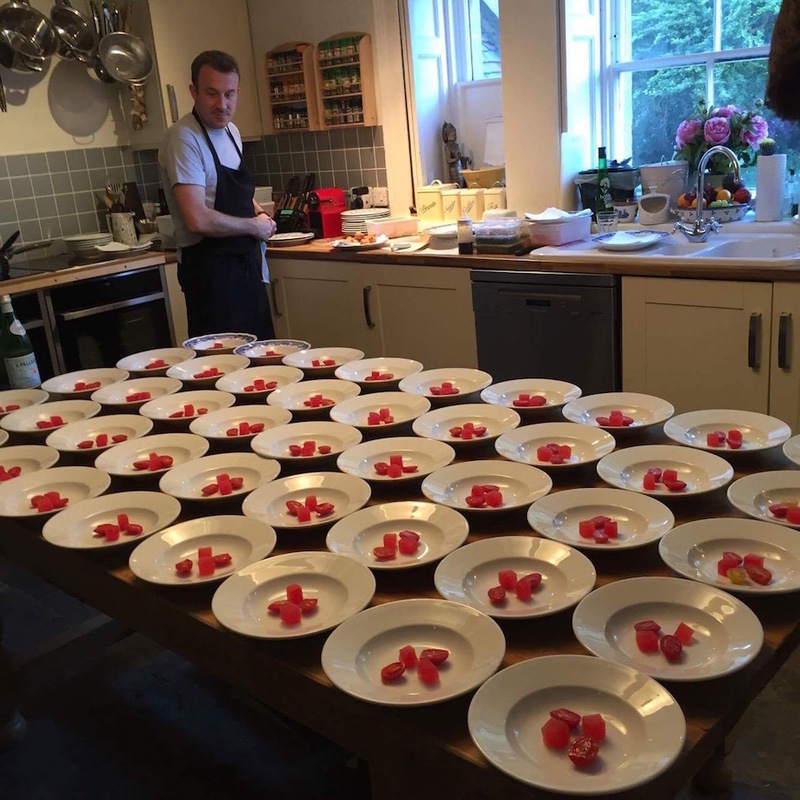 This five-course dinner (including canapes) is, as ever, matched with wines from Nik Darlington and his brilliant esoteric list at Red Squirrel. Fancy? Course you do, just click here to book and remember to tell us all about it. Isle of Wight tomato and compressed watermelon, barrel aged feta. Wine supplier is Red Squirrel, an importer of native and alternative wines from around the world. 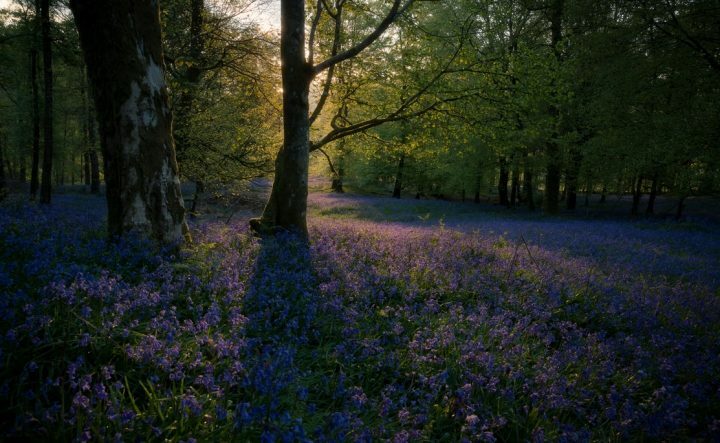 Founded by Nik Darlington in 2012, they’re based in London and cheerfully supply intrepid punters, restaurants, bars and wine merchants all over Britain. Hi Allan, Happy to help. There’s a link within the piece, but just so you have it here’s a link to the next feast https://www.eventbrite.co.uk/e/weston-supper-club-an-indian-feast-on-1-september-2017-tickets-36312234872. William sells tickets to the events through Eventbrite – which has a calendar function so it’s always best to check in advance for the next upcoming supper. Hope you find it as fun and delish as I did.